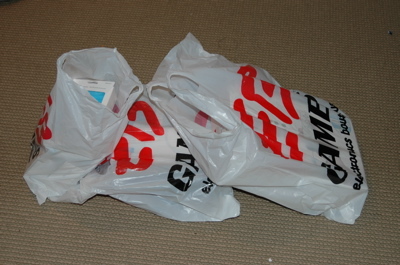 I got back from EB Games about 12:30am. This is what I bought. 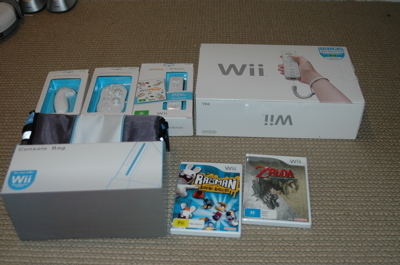 Clockwise from top left: extra nunchuck controller, classic controller, Wii Play controller pack, Zelda: Twilight Princess game, Rayman: Raving Rabbids game, the “free” bag that came with the pre-order. 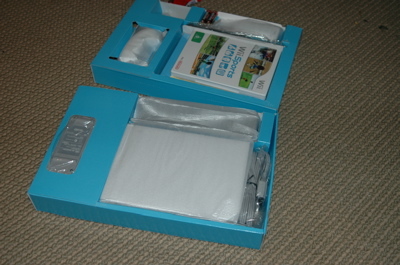 Opening the box, there are two trays inside. 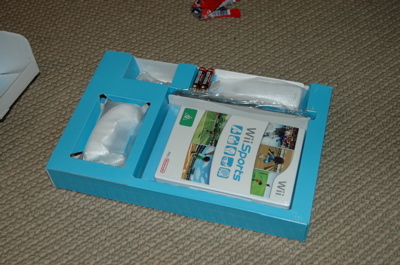 The top tray contains Wii Sports and the controllers. 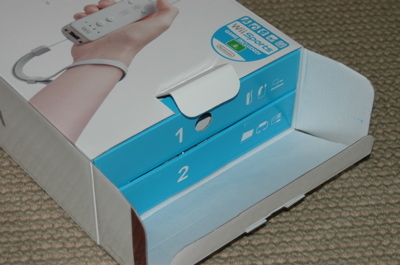 Note the included batteries – bless all companies that include the batteries in the box. 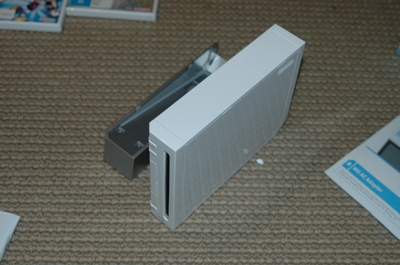 The bottom tray contains the actual Wii unit, the stand, the sensor bar and the power supply. 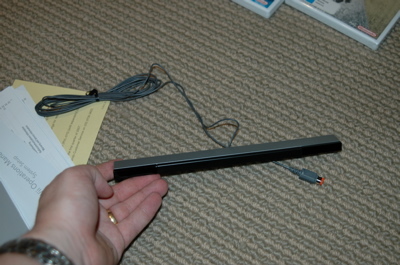 The sensor bar, used to work out where the controller is relative to the TV. Pretty small – bit over a hand length. 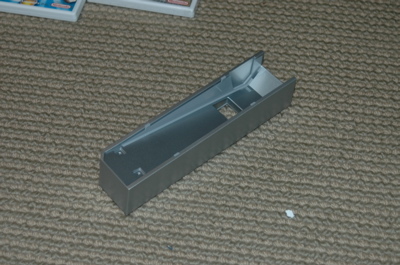 The stand, so the Wii can be displayed proudly for all to see. 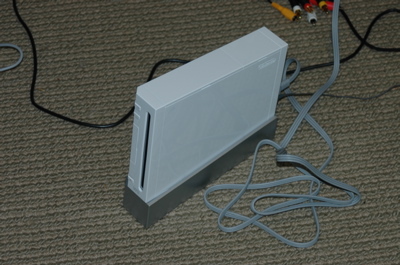 The Wii unit next to the stand. All plugged in and ready to go. This entry was posted on Wednesday, January 17th, 2007 at 9:27 pm	and is filed under Games.